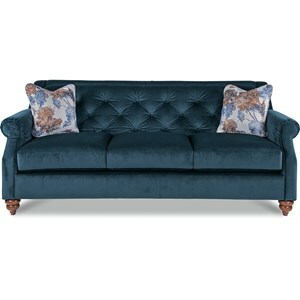 This traditional sofa is a stylish and comfortable piece to add to your home. 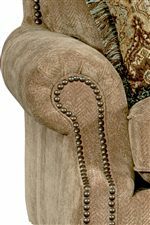 With beautiful rolled arms on each side and the option to add nailhead trim, this sofa can be customized with different fabrics to create a specific look. 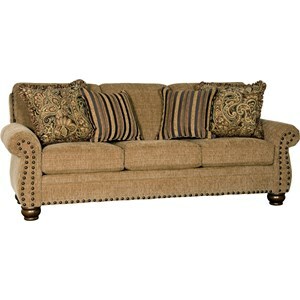 Style and comfort come together to bring you a fabulous piece for your home. 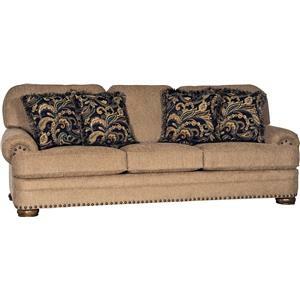 The 5790 Traditional Sofa with Rolled Arms and Nailhead Trim by Mayo at Knight Furniture & Mattress in the Sherman, Gainesville, Texoma Texas area. Product availability may vary. Contact us for the most current availability on this product. 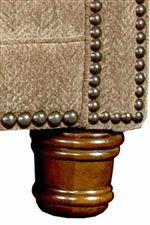 Arm Padded rolled arm with nailhead trim. The 5790 collection is a great option if you are looking for Traditional furniture in the Sherman, Gainesville, Texoma Texas area. 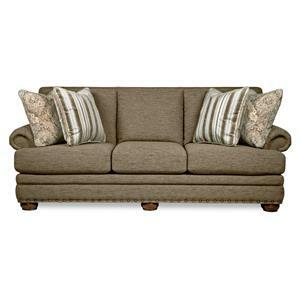 Browse other items in the 5790 collection from Knight Furniture & Mattress in the Sherman, Gainesville, Texoma Texas area.